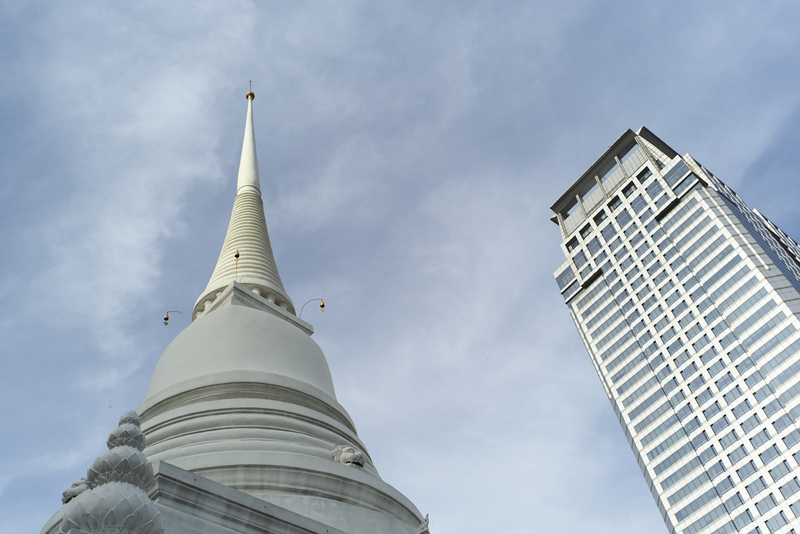 Central Bangkok is densely populated with shopping malls, hotels and office buildings, and during the day the sound of traffic is everywhere. 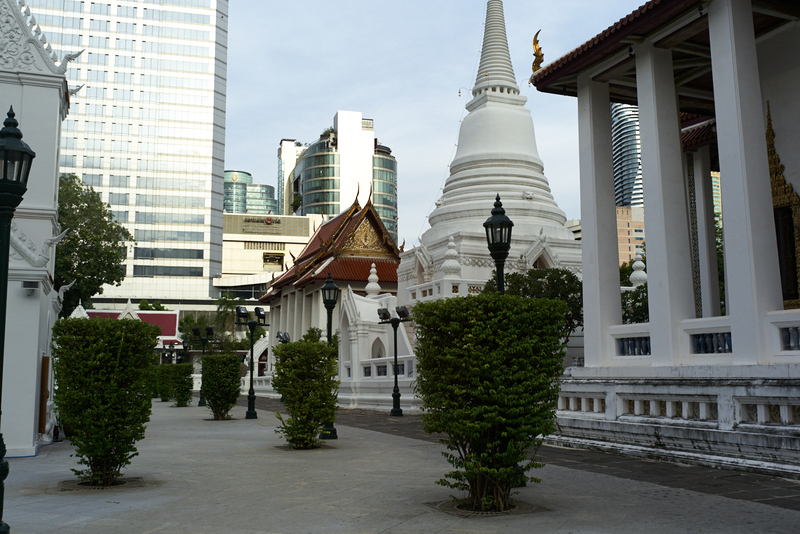 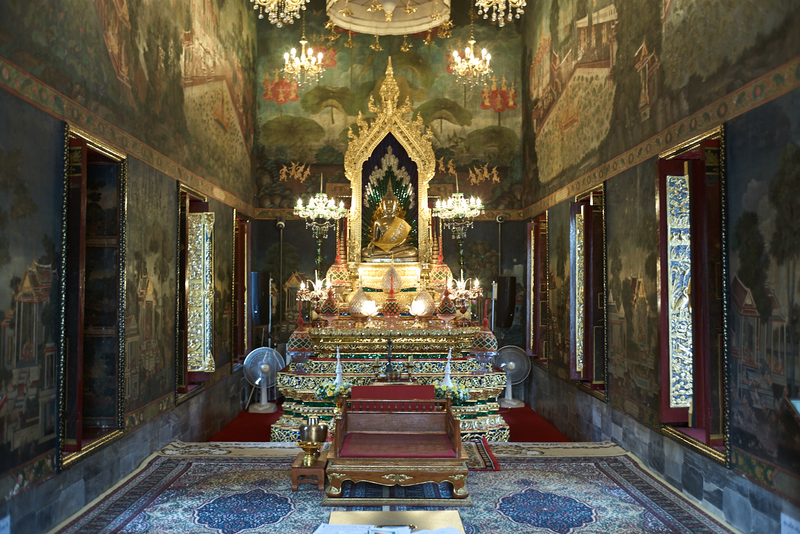 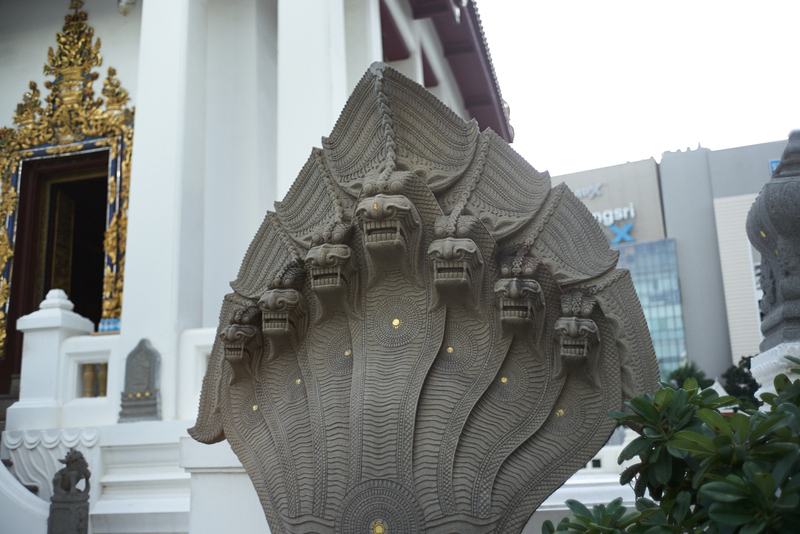 Nevertheless, in the middle of the Siam Paragon, Siam Square and CentralWorld malls, you can find the relative quiet of the Wat Pathum Wanaram temple. 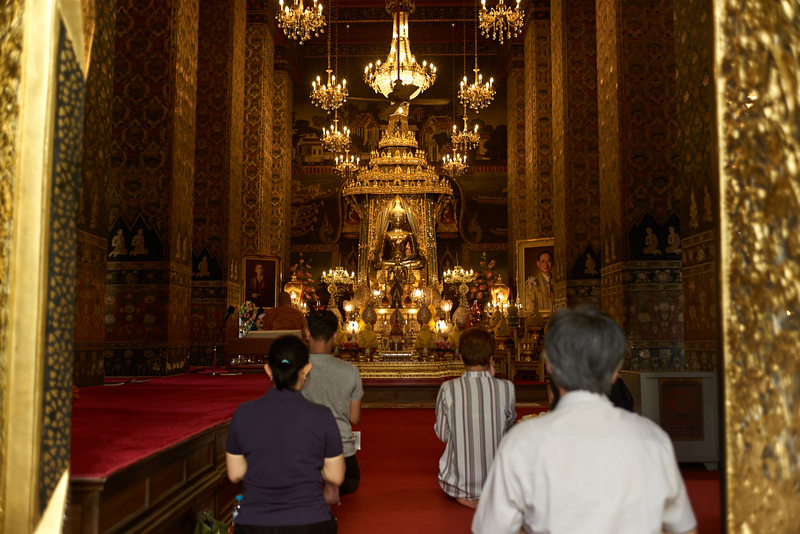 Built in 1857 and shielded (somewhat) by high walls, the temple complex includes a main prayer hall; a stupa; an ordination hall, where the holiest of prayers ceremonies are conducted; a memorial hall; and a library and monks’ quarters. 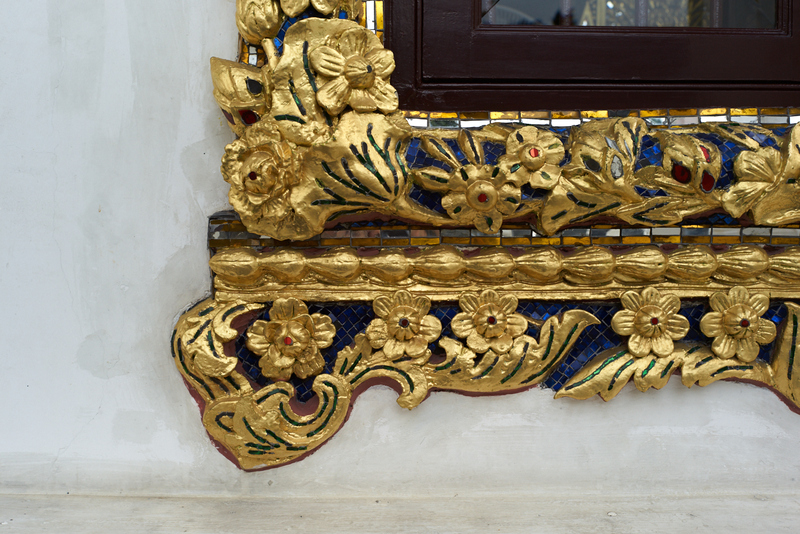 The main prayer hall, standing between the stupa and (across the street) CentralWorld mall; building detail; the interior of the prayer hall; detail of the glass, gold leaf and enamel decoration. 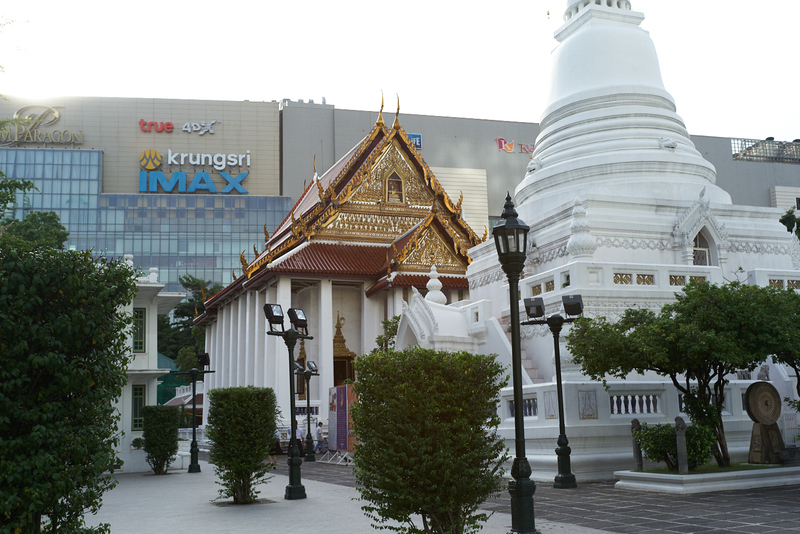 The ordination hall, the stupa and the main hall, with SiamParagon mall as a backdrop; the interior of the ordination hall; the stupa spire; a multi headed snake stands guard outside the main prayer hall. 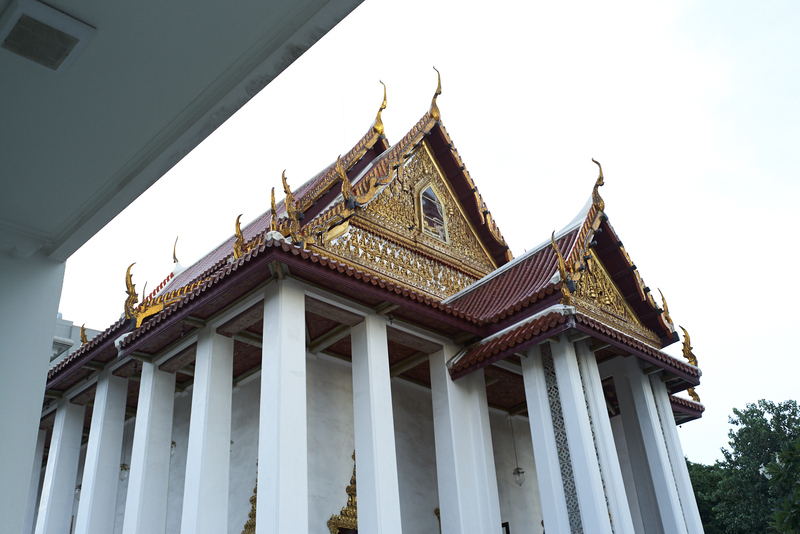 Surprisingly, the internet doesn’t have much else to say about the temple, but given how many amazing temples there are in Bangkok, this may be par for the course.